If you’ve never heard of (or taken) adaptogens now is a great time to discover Mother Nature’s botanical solution to stress. Adaptogens are plant based medicines that help us cope better with stress. Typically taken on a daily basis, adaptogens often lead to noticeable improvements in wellbeing within just a few days. Herbs in this category with a proven track record include Ashwagandha (Withania somnifera), Siberian ginseng (Eleuthercoccus senticosus), lavender and Rhodiola rosea. Rhodiola in particular is known to help boost mood, helping with feelings of jolliness. Look for combinations of adaptogens as different herbs work synergistically. Can’t find parking at the mall? Simply thinking about going to the mall? Sometimes we need some stronger, more immediate help for stressful situations and even anxiety. Gamma amino butyric acid (GABA) is an amino acid found in small amounts in a number of fermented foods. It promotes feelings if calmness and combats nervousness. GABA is available in chewable tablets that offer fast acting relief from acute stress. Keeping these in your purse or glove compartment can really help when you start feeling grinchy. The holiday hustle can disrupt sleep more than usual. Sleep aids worth keeping in your natural medicine cabinet include melatonin, L-theanine, and 5-HTP. Melatonin is the famous sleep hormone that can work wonders in supplemental form. L-theanine is an amino acid extracted from green tea that doesn’t cause drowsiness per se, but it will calm an overactive mind to help you drift off. 5-HTP helps both sleep and mood by being a precursor to melatonin and serotonin. These ingredients work well separately or look for them together in specifically designed formulas. It can be the most wonderful time of the year. Taking advantage of natural remedies to buffer stress and sleep better helps make the holidays merry and bright. 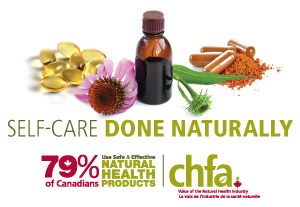 Dr. Kate Rhéaume, ND is a graduate and former faculty member of the Canadian College of Naturopathic Medicine. She is the author of Vitamin K2 and the Calcium Paradox: How a Little Known Vitamin Could Save Your Life (HarperCollins).